We at FabVegas.com are a bunch of Las Vegas enthusiasts, and we'd like to share our views and information with you about all things Las Vegas. To us, there is no city like it, and we're positive you'll agree with us on that. And if you don't, all we can say is that you are entitled to your own opinion. But if you haven't been to Las Vegas, you've missed out on something very spectacular. And if you've been there already, and want to go again - this is your spot. As we said just before, there is no city like Las Vegas. And there is no city in the US, or even the world, that can re-invent itself like Las Vegas. Things are always changing - casinos are being demolished, rebuilt, expanded, changed, sold and bought all the time. Yep, it's hard to keep track of it all, and that's where we come in. We will provide you with the latest updated information on what's going on where in Las Vegas, cool things to see and to do, and of course, what not. Finding your way around our site is pretty easy. You'll probably already have seen the menubar above this page. If you don't see the menubar, you might have been misdirected by another site or search engine. Please click here to go to the right start page of FabVegas.com . The buttons on the menubar will take you to the option of your choice. Find information about a casino or a hotel. Get useful information about booking your trip, learn how to get things cheap, or even free. Learn how to play casino games to come out as a winner (or at least have a better chance). You can also find links to online casinos - in case you just can't go to Las Vegas right now, whatever the reason. 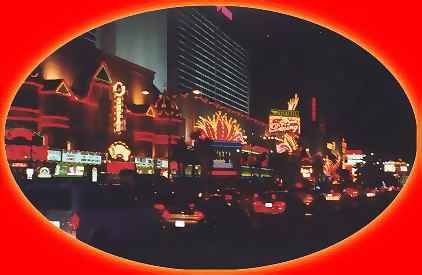 And if you're looking for books on gambling, Las Vegas, or related things, visit the FabVegas.com store. If we haven't got what you're looking for, contact us (we've even provided a button for that!). You never know, you might just get lucky! All that's left to say now is, enjoy, and don't hesitate to send us your comments, praise or outrage (but please, keep it at least a bit friendly). We'd love to hear from you. It helps us making FabVegas.com even better! You can find detailed contact information under the 'Contact us' button.